Never had a beer from Rivertown Brewing from Lockland, Ohio. Until today. 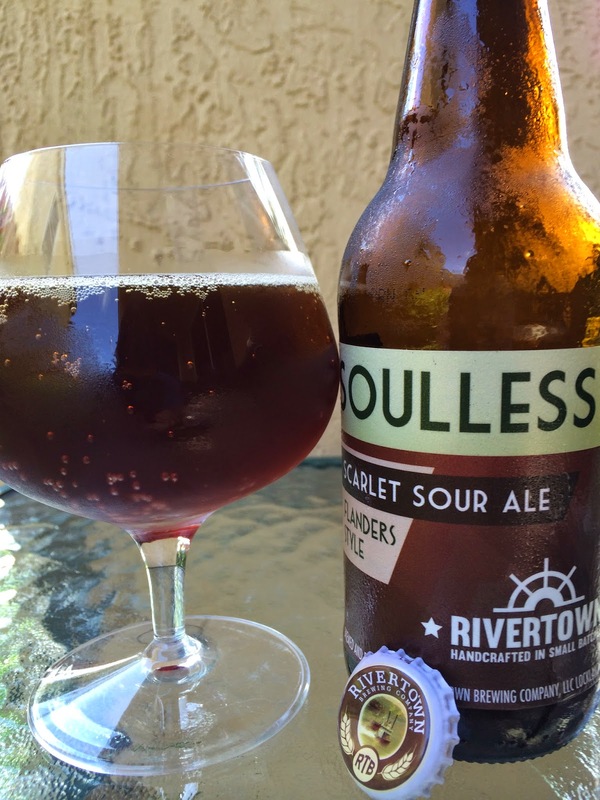 Their Soulless Scarlet Sour Ale is a Flanders Style beer. So an uncommon style from a brewery new to my South Florida market. Fruity, malty, musty aroma. Malty flavors with subtle tart berry way in the background. Caramel, flat Coke. Thin and fairly flat. Very generic flavors and bland are probably the best descriptors. Not "Sour" under any definition. Not blech but I didn't finish it and am very disappointed.